International soloist Eriko Daimo will display her dazzling virtuosity during a concert in Arcata at 8 p.m. on Thursday, August 6, at the Arcata Playhouse. Doors open at 7:30. The Japanese musician with captivating charisma and numerous prizes has given solo concert performances around the world. 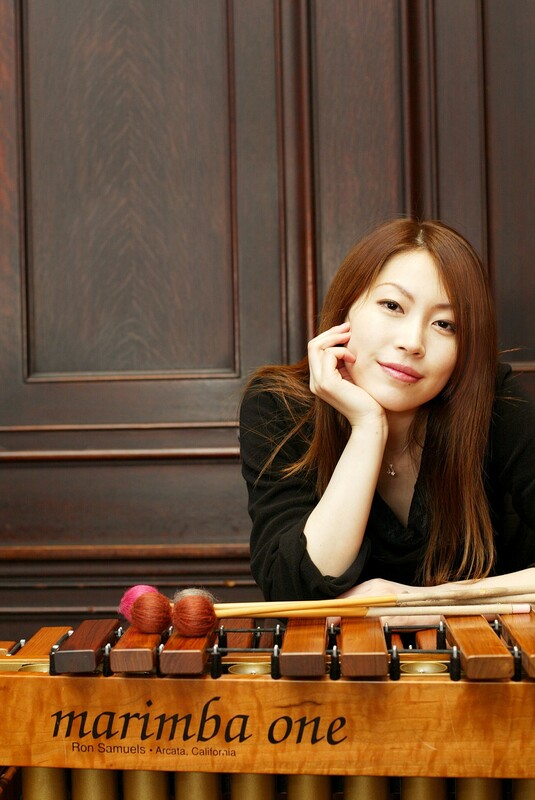 She is a force among today's generation of players of marimbas--large percussion instruments similar to xylophones but with keyboards crafted out of Honduras rosewood. She is playing an instrument crafted by Marimba One, based in Arcata and considered the maker of the world's finest marimbas. It has been the choice for years of Daimo, who says: "I feel that the marimbas of Marimba One are alive...the instrument itself seems to create a variety of gorgeous, deep, warm, glittering and profound sounds. "I can feel my emotion flowing through the instrument," she adds. Come hear her play solo and with special guest Pius Cheung. Tickets are $15/$12, available at Wildberries Market or at the door.